While I was thinking how I could run across Mindanao to raise proceeds for charitable institutions, I managed to see UNICEF Philippines asking for mall goers to donate to help children in distress, national disaster, and ones who are out from school. Kids are the ones who suffer most from natural disaster, poverty or abuse. And, with little or no strength at all to withstand the abuse of the society, they could only endure in silence. So, oftentimes you would see kids not in school but rather in streets working for the family, or simply have run away from home to escape from any harsh reality. I am not a philanthropist. In fact, I work as a part - time teacher with a meager salary with a family background of humble economic state. But, whenever I see kids or elderly on the streets working instead of staying in school or in their respective home, I could only be disillusioned and wish that I could help. Joining fun runs has allowed me to support various advocacy including the ones of nurturing the kids, the elderly, the women, and the environment. 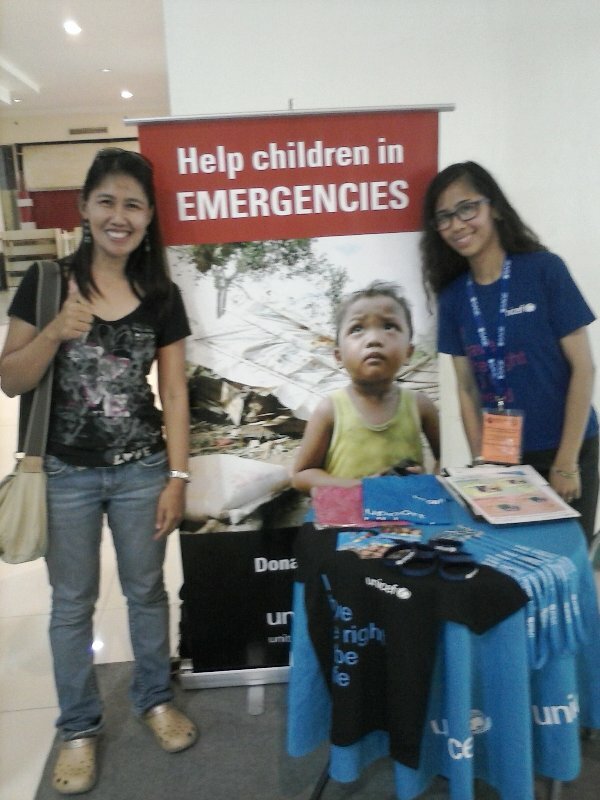 So, I commend everyone else who care for others and glad that I see UNICEF in our very own local mall. We have ways to help the unfortunate and there are legitimate groups who really make a difference, and I appeal that even in our humble ways we can pitch in to helping others especially the kids. 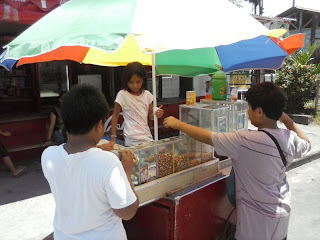 With the new school year approaching, I wish that there are no more kids on streets working or otherwise. But, this would mean aggregated resources from all stakeholders including the ordinary civilians. So, if you like to realize this goal, I pray that you can help UNICEF. For your donations and / or other queries of their services, you can check out their official website.